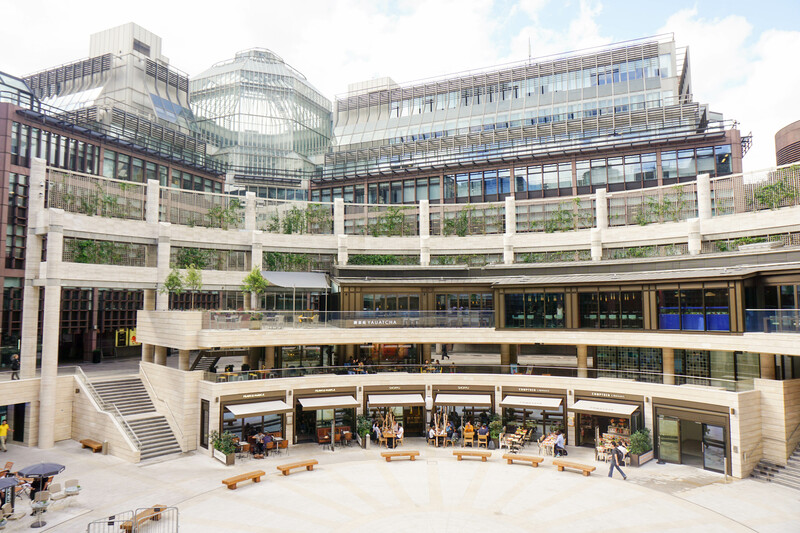 The architecture shows it all off here! Meal courtesy of Yauatcha City. The dim sum at Yauatcha represents an oasis of calm and beauty within the vibrant city of London. 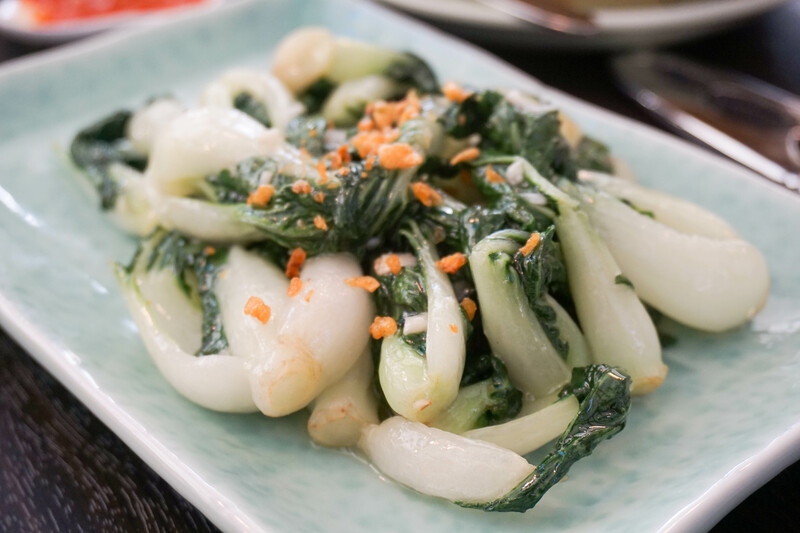 Opened in 2004, it’s no stranger to the Chinese dining scene, with a recent new opening of its second branch within The City (20th May 2015), Liverpool Street. 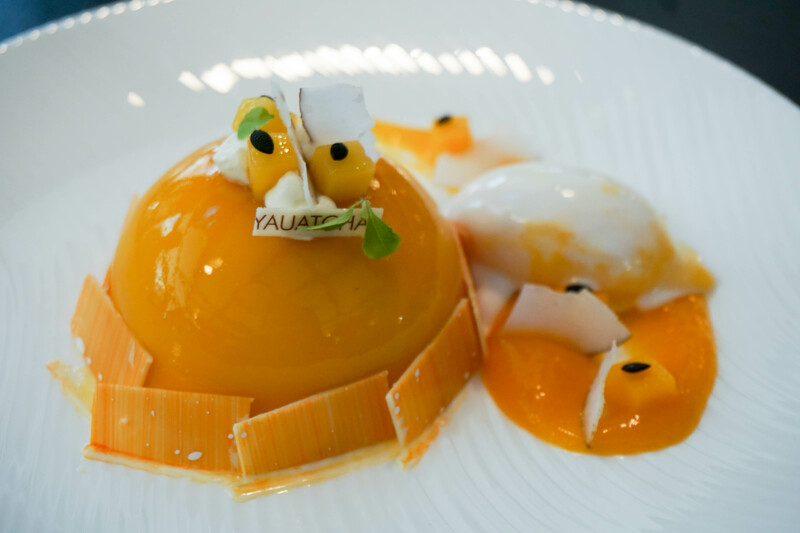 Below, a video from the Yauatcha website, a video that best represents the wealth of expertise and reputation Yauatcha currently holds in the restaurant and food industry. 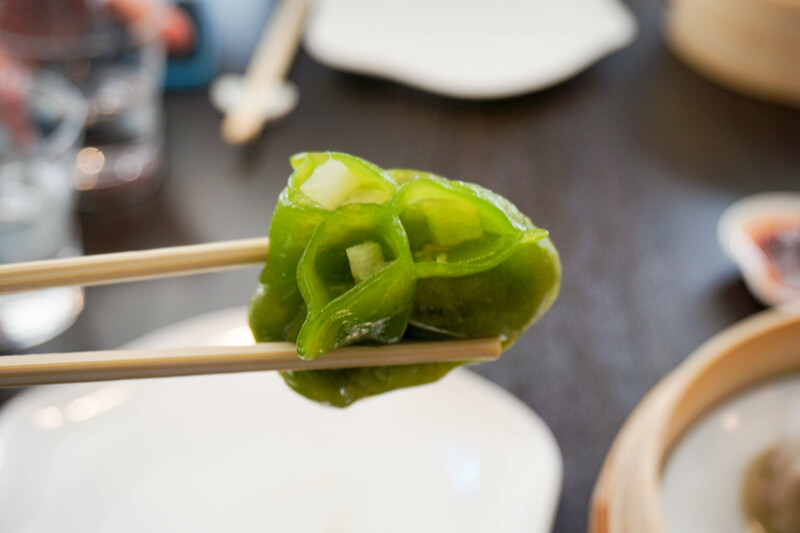 Yauatcha’s dim sum teahouse offers all day luxurious dim sum and other quality chinese dishes. 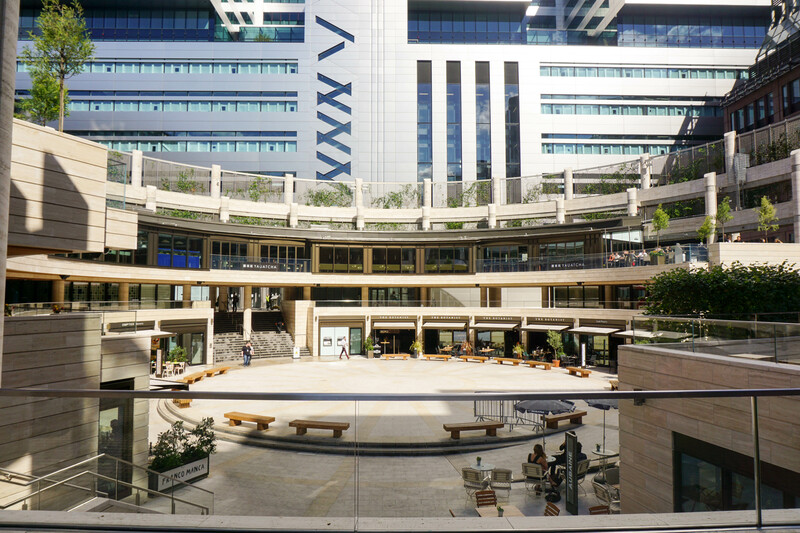 Set in the heart of the City, it is perfectly within reach for city workers and residents alike. I was here for the launch of Supreme Saturdays set menu, a set course perfect for catch-ups and casual dining but in an electric atmosphere. The launch of this menu was a highly media-friendly affair, with big name instagrammers and journalists all eagerly awaiting to try the new set menu. (I came here with my colleagues Alex and Liam.) 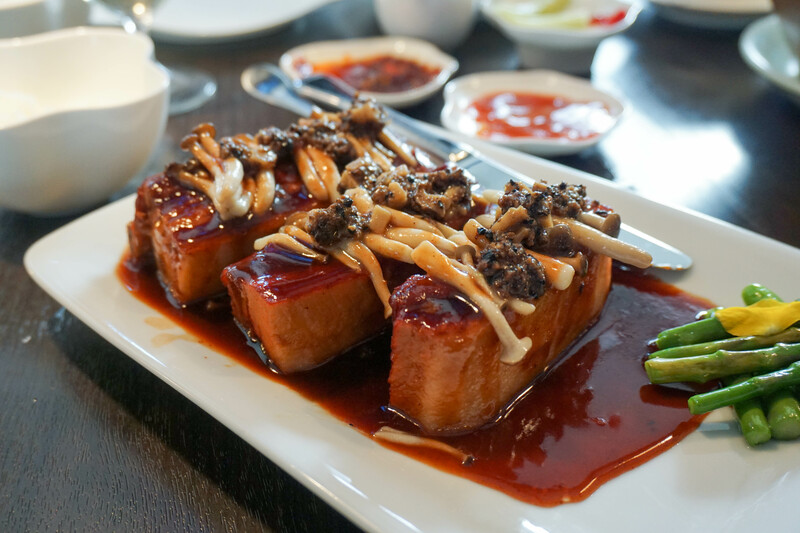 Cantonese dishes flood the menu, with influences from all parts of China slightly altered with a modern touch. The traditional tastes remain. Knowing how cold England can actually get for end of August – it was surprisingly, pretty good weather on the Saturday! 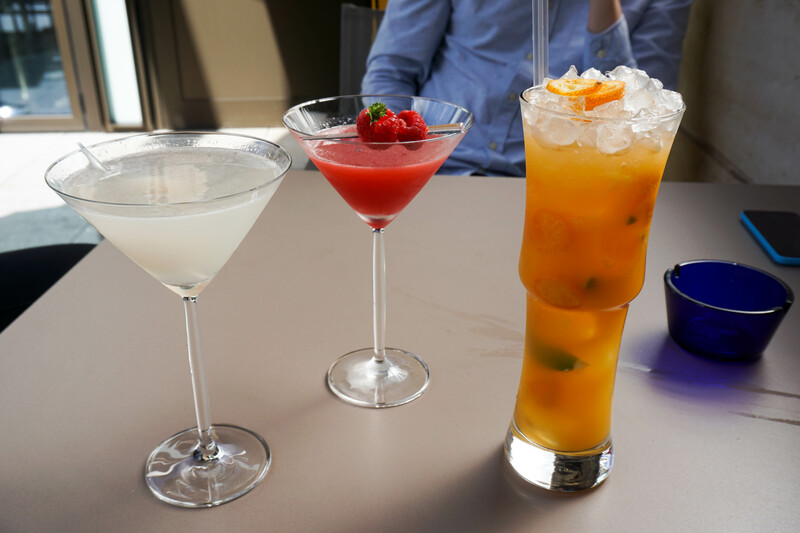 Cocktails can be enjoyed by outside on the terrace, when full on a sunny day, the relaxing and chill environment makes it perfect for catch ups and small talk. 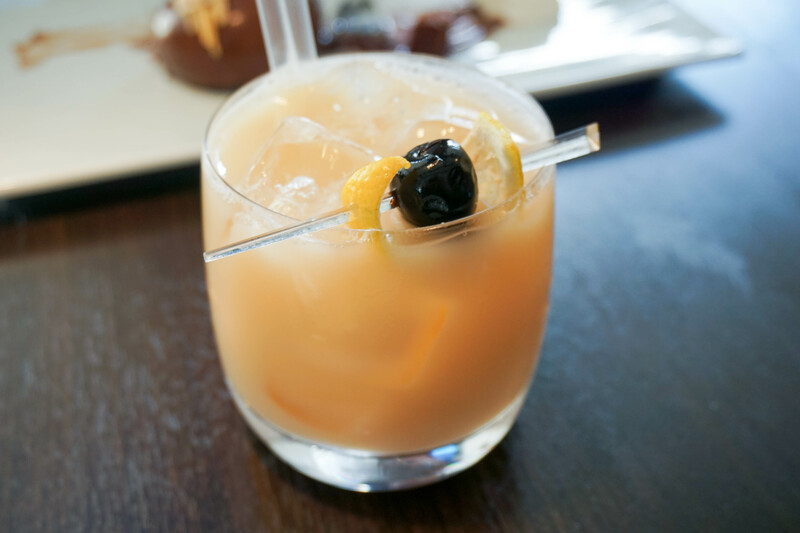 The Lychee Martini was most impressive, a Hakkasan signature made of Belvedere vodka, lychee liquer, lychee juice and fresh lime. So refreshing! I naturally have high expectations for Yauatcha (and the Hakkasan Group in general), since, as a regular visitor the reason I keep coming back is due to the fine quality of dim sum offered at a continuously high level. I was slightly concerned when I saw how much liquid had settled down at the bottom of the dim sum plate (pictured above), presumably from the condensation from having the lid closed for a certain amount of time. However, I was not disappointed, the dim sum platter was steamed very well! The dumpling skin thin but strong enough to hold the filling and all the juices with it too. 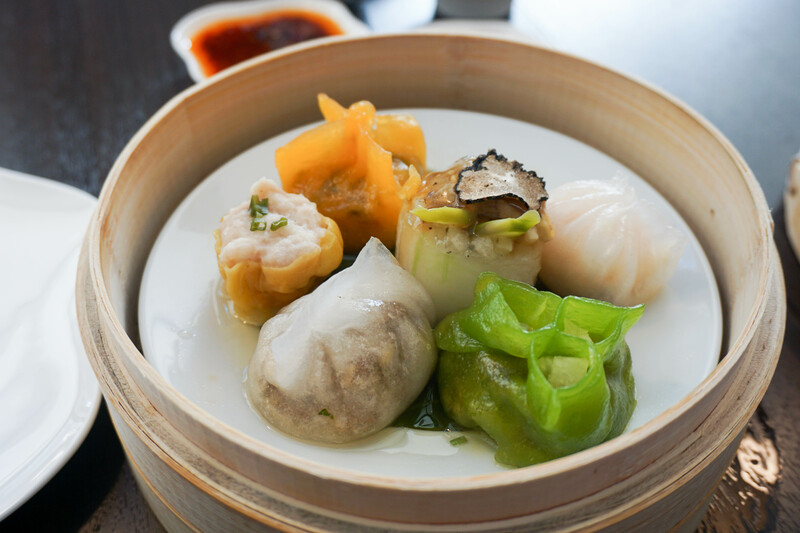 The dim sum platter is made of pork and prawn shui mai, har gau, black pepper and wagyu beef dumpling, vegetable and truffle wrap, crystal dumpling wrap with pumpkin with pine nut, and wild mushroom dumpling. Genius! The fried dim sum was also a very delicious affair. The lobster roll can get pretty crumbly but crumbly is good, especially when the filling was surprisingly meaty inside. 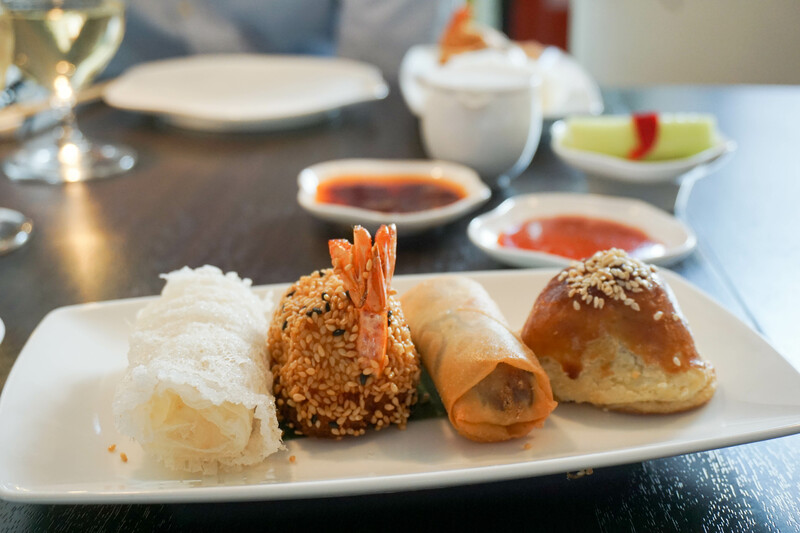 The platter consists of venison pull, mushroom spring roll, lobster roll and sesame prawn toast. Heaven on a plate – the truffle aroma can be smelt without even eating it! The mains come with a pot of steamed rice too. 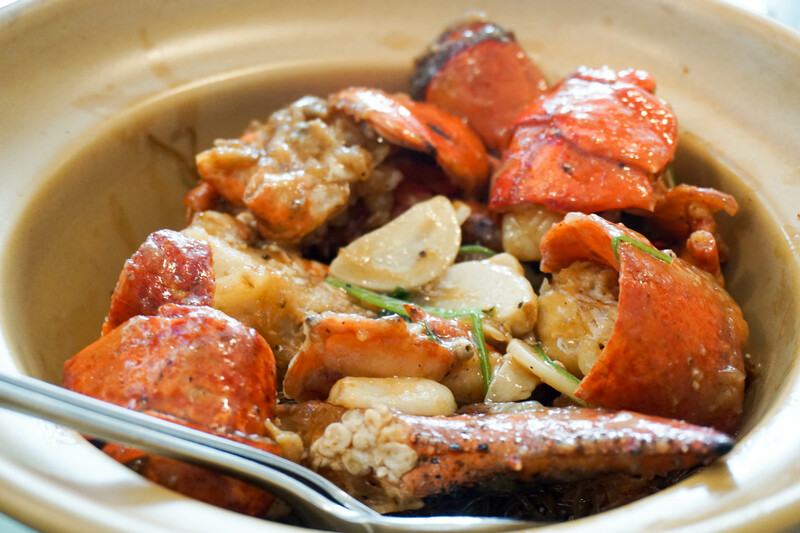 You will have a choice of two between three, the fois gras diced beef, truffled pork belly rib and lobster vermicelli pot. 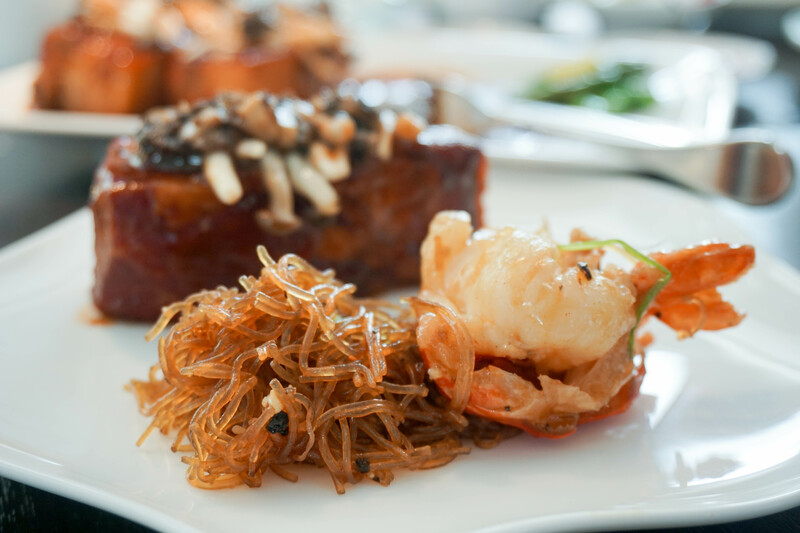 We opted for the truffle pork belly rib and lobster vermicelli pot. 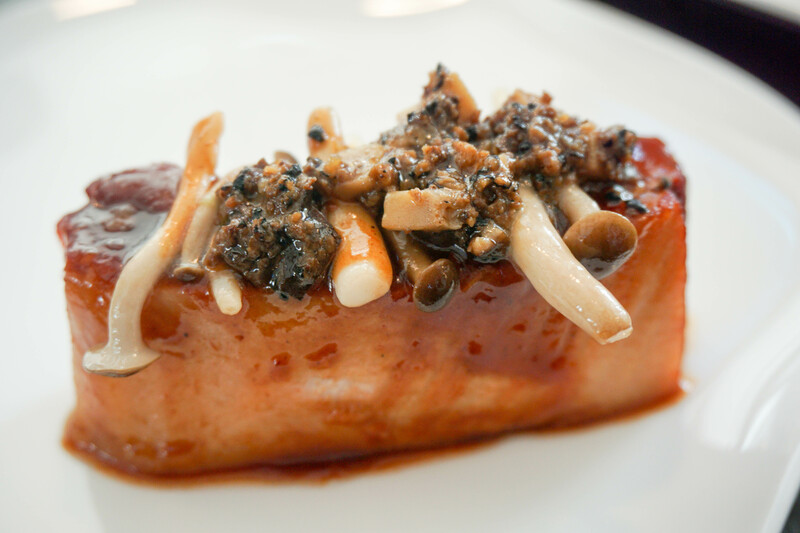 The pork was braised very well and the generous amount of mushroom and truffle made this my favourite dish of the set. 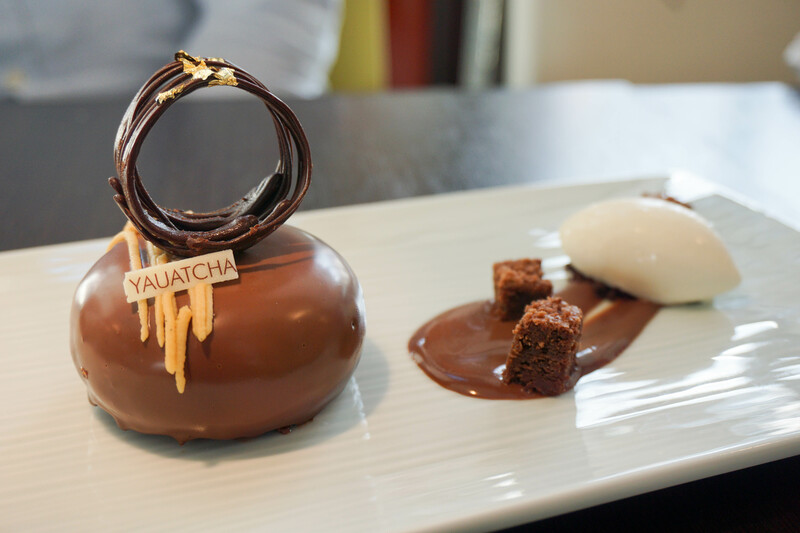 You can’t leave Yauatcha without desserts, their very well presented desserts can often be too rich for me, but the visual presentation captivates all. The Chocolate Pebble, an alto el sol single origin dark chocolate brownie topped by caramelised white chocolate. The lemon tart was not as strong in lemon flavour as I would have liked, but when theres sesame cremeux and Matcha creme in the equation, that can be forgiven! Desserts, cocktails and also tea at Yauatcha are highly recommended, I won’t go into it too much here as there is a separate post for this. 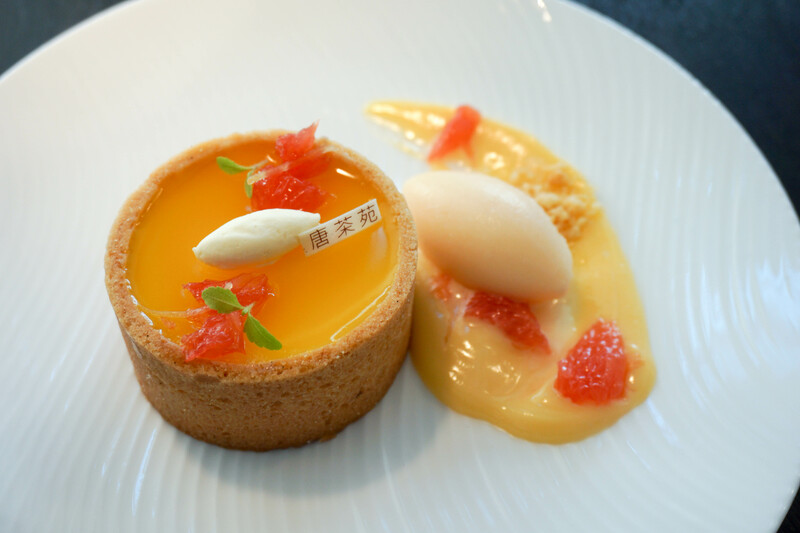 that passion fruit and mango pudding looks amazing! You are such a foodie, great post!